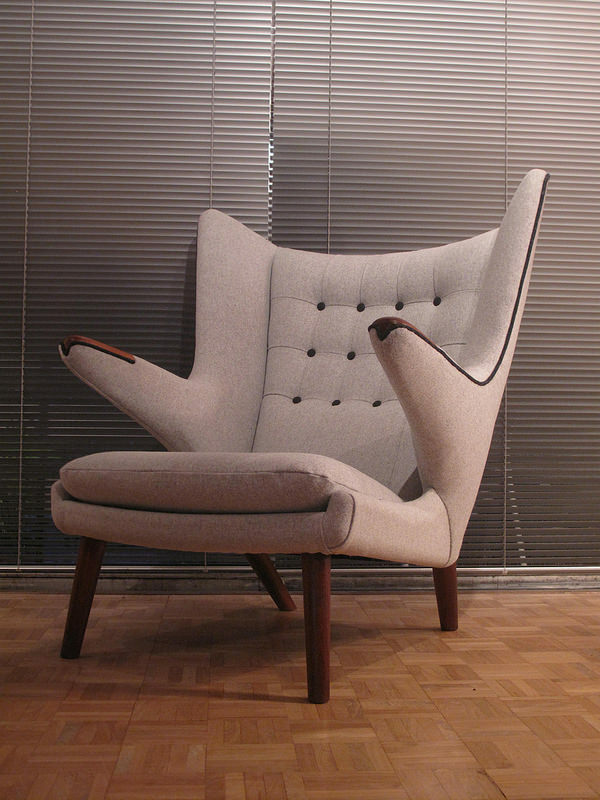 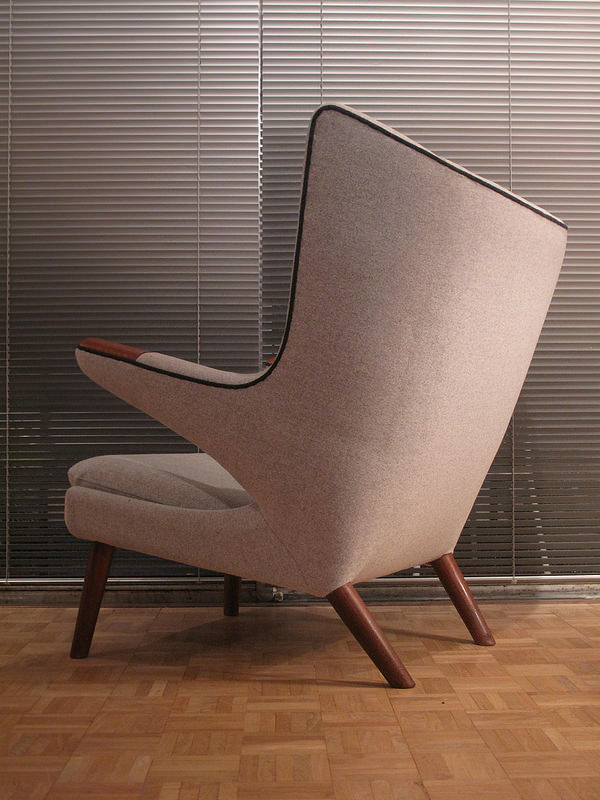 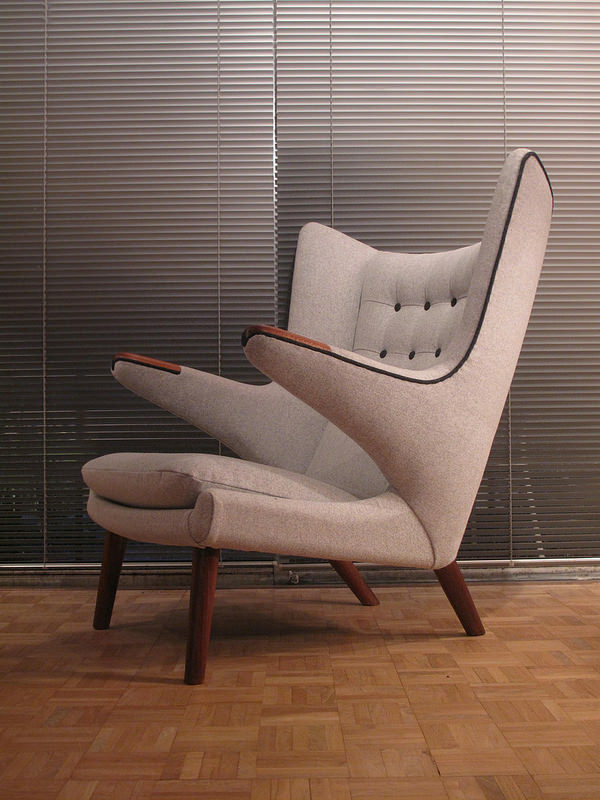 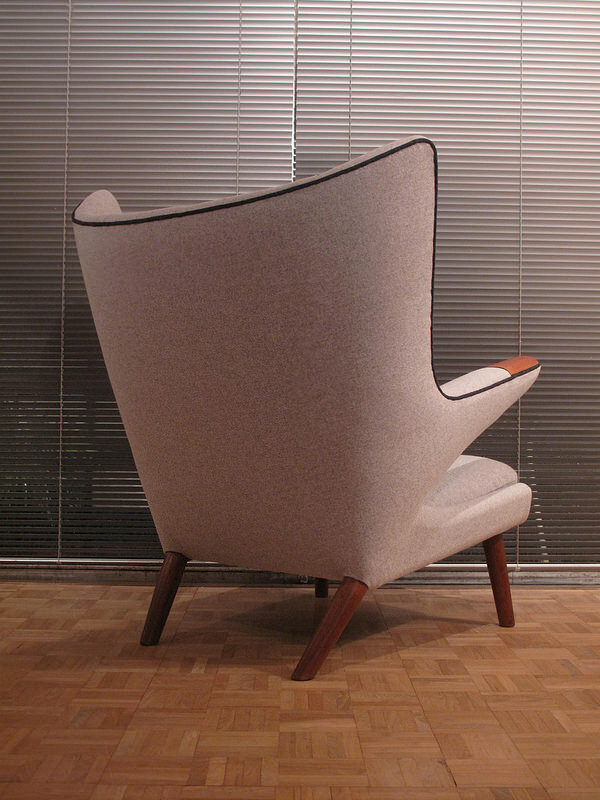 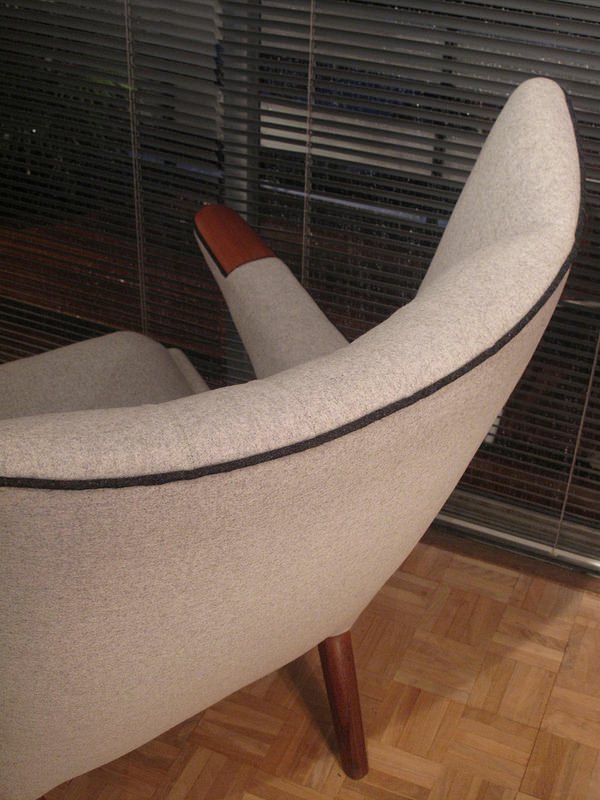 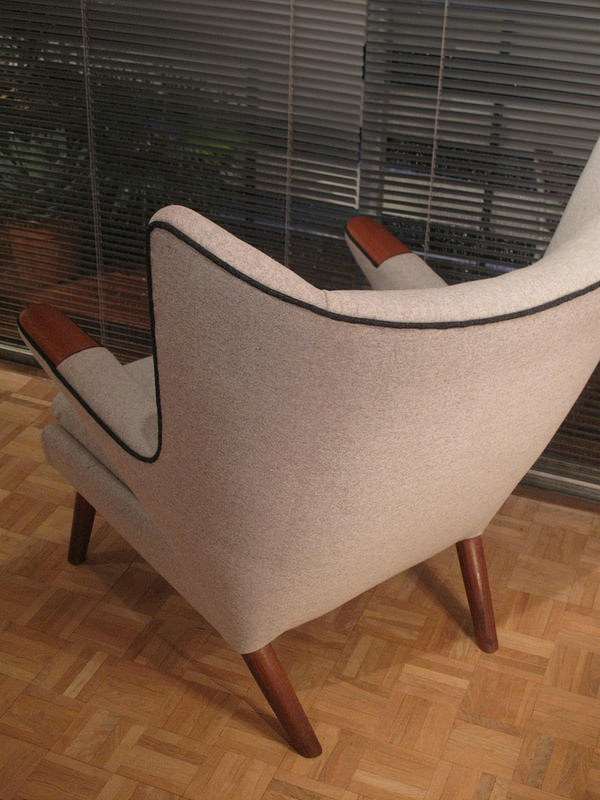 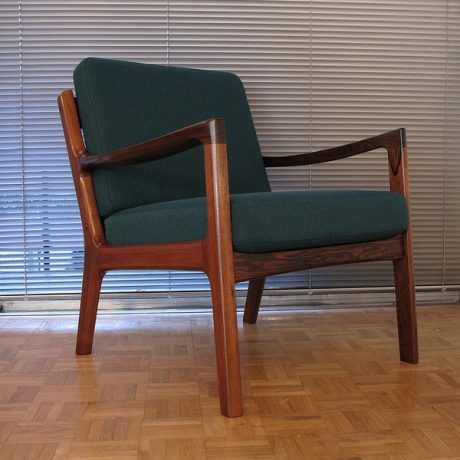 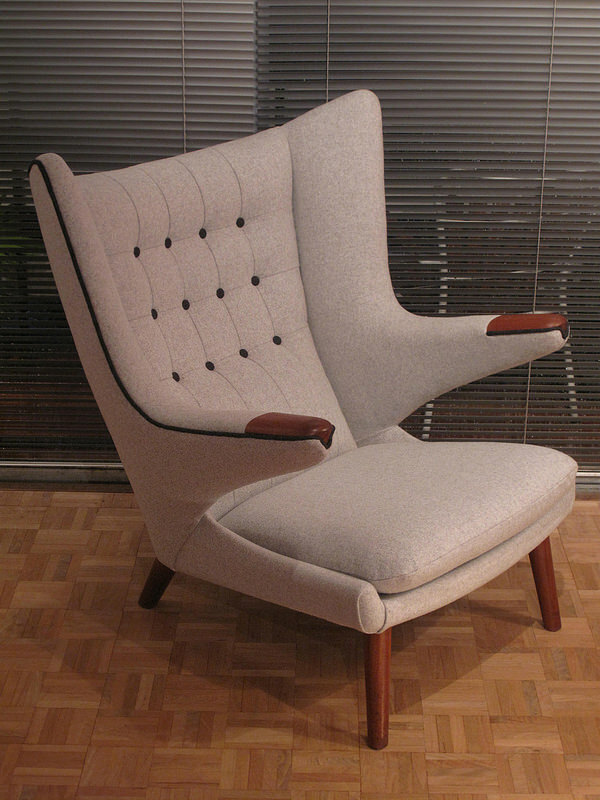 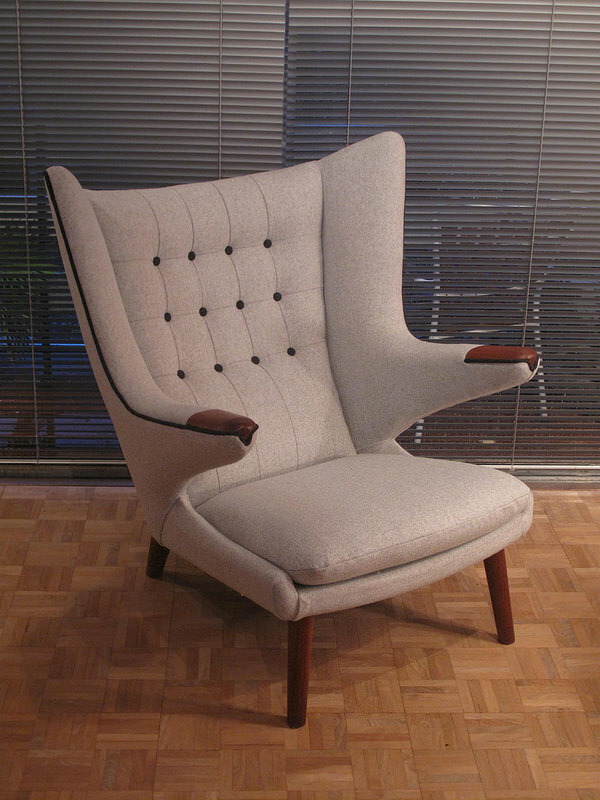 An outstanding example of one of Hans Wegners most desirable chairs. 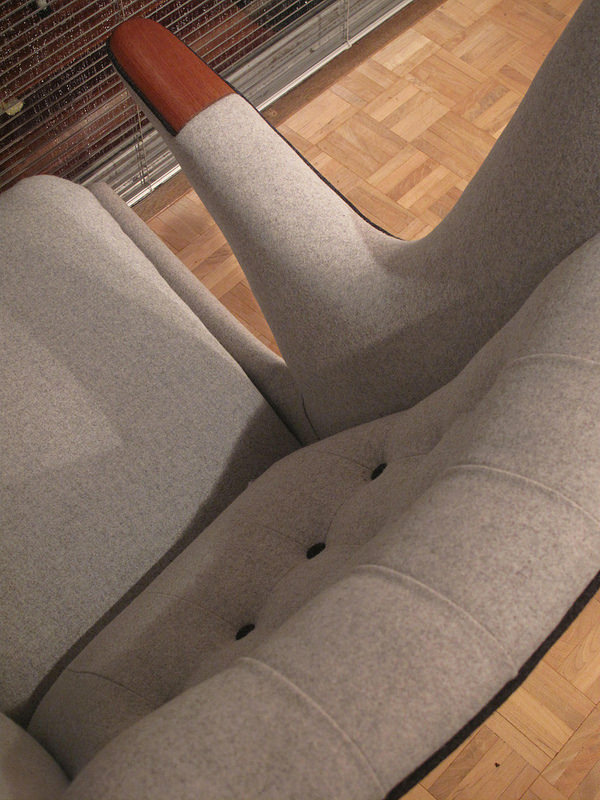 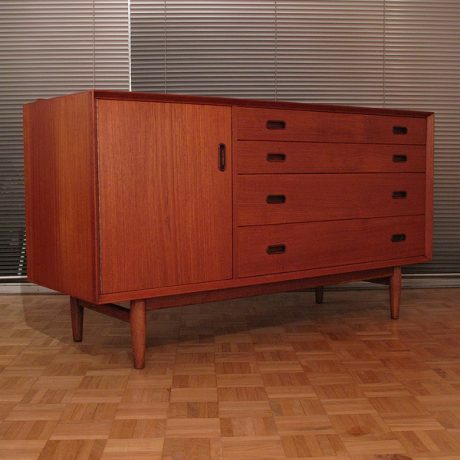 An extremely labour intensive design crafted by A P Stolen, Denmark. 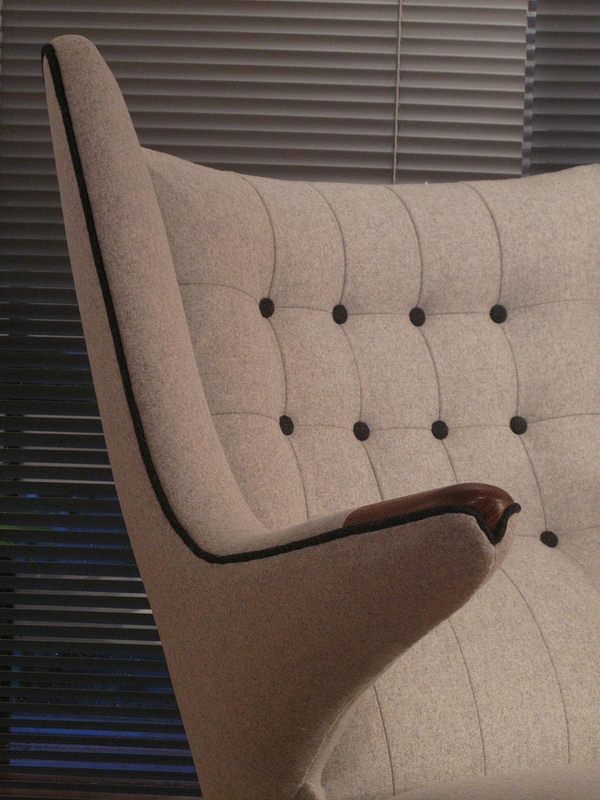 Easily one of the most comfortable chairs you will ever sit in, it also has the psychological effect of feeling like a magnificent throne as soon as you slump down and place your arms on the highly stylised armrests. 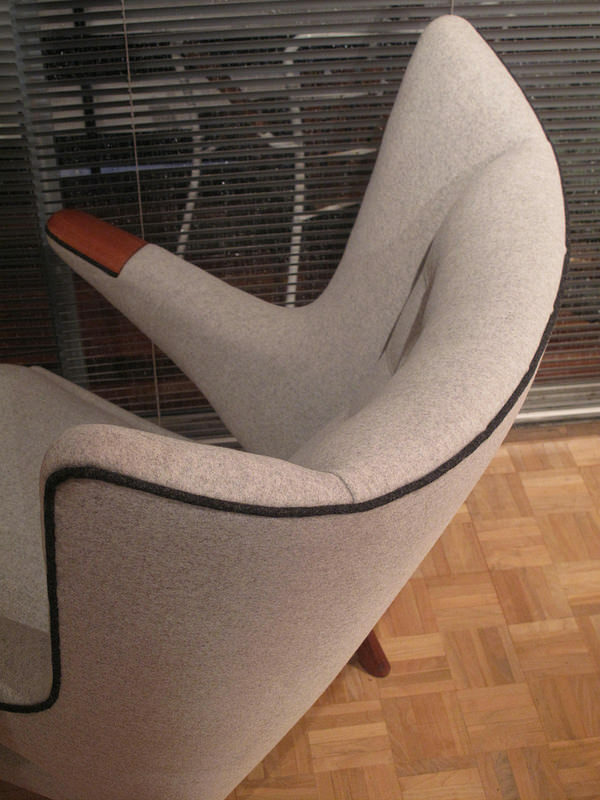 Inside the backrest are 50 cotton wrapped springs giving wonderful support for your back, we have retained all the original cotton batting and sterilized horsehair within the chair in the interest of originality and also to retain the superior comfort these materials offer. 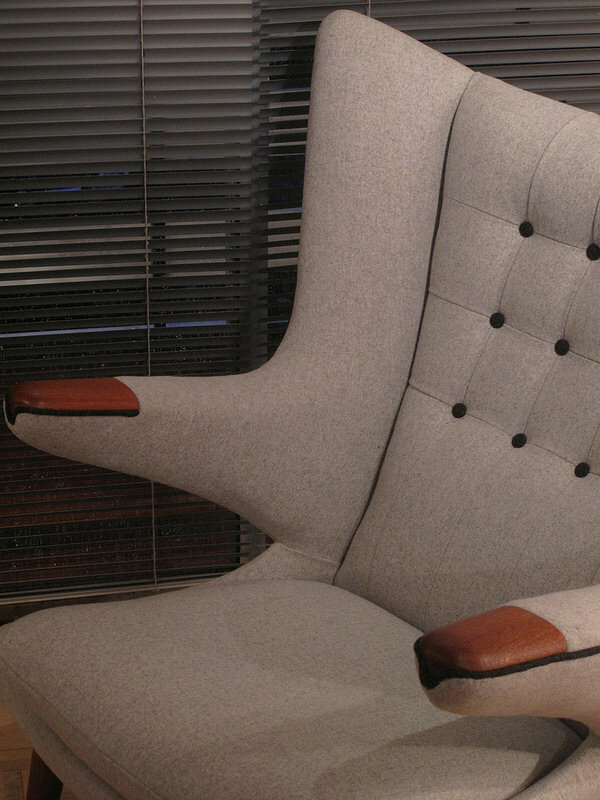 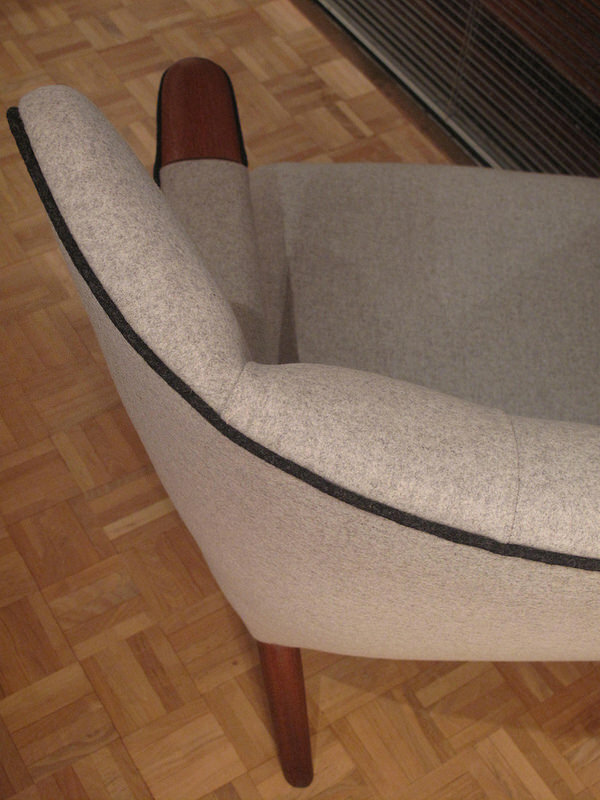 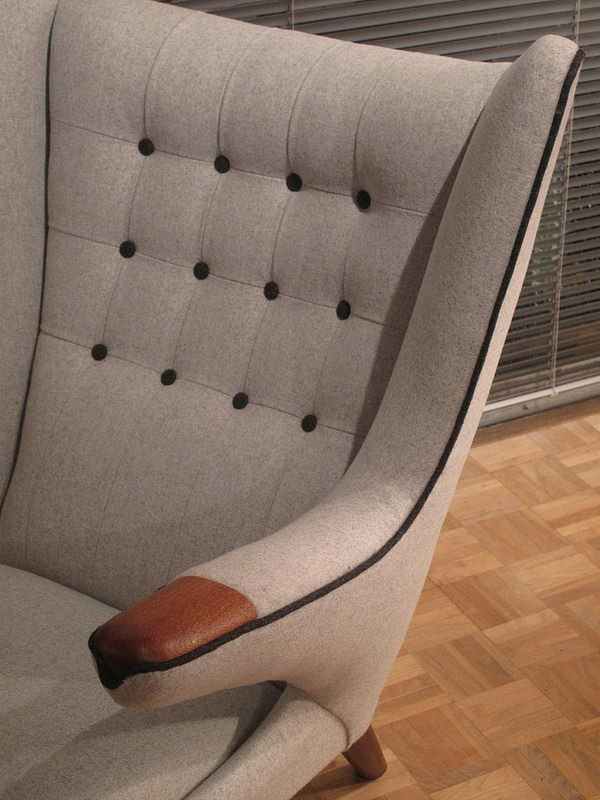 The chair has been reupholstered in very high quality Davina wool from Kvadrat with contrasting buttons and piping, swatch samples are gladly sent upon request.